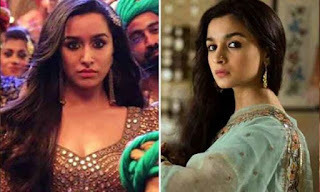 Home / Bollywood / Bollywood entertainment news :: Bollywood Actresses Who Rocked The 2018 Box Office! Bollywood entertainment news :: Bollywood Actresses Who Rocked The 2018 Box Office! 2018 has been an extremely successful year for Bollywood. While the year witnessed interesting and intriguing content-driven films, it also presented films driven by strong female-led characters. Actress Deepika Padukone’s Padmaavat became the first women-led film to cross 300 crores at the Bollywood box office. Deepika’s performance in the film had received universal critical acclaim from the critics and audience. Alia Bhatt gave a power-packed performance in Raazi, where the talented actress played the role of a young Indian Kashmiri spy in Pakistan. Actress Tabu gave yet another power-packed performance in the edgy thriller ‘AndhaDhun’ and the film has become one of the most loved films of 2018. Veere Di Wedding further went on to become one of the most successful women-led films of 2018. Down in South, the biographical film Mahanati shone throwing light on the yesteryear legend Savitri. We can definitely deduce that women have shown their power at the Indian Box Office with strong and driven characters in 2018. With the few examples that broke through this year, Bollywood has set it straight that roles that characters and roles are getting meatier for the actresses.